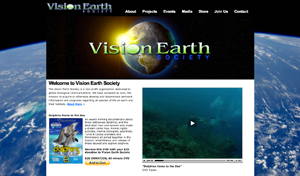 Join Vision Earth's mailing list to stay updated on all things vegan, health, wellness and conservation related. Subscribe to our newsletter and you'll be the first to know about our new projects and upcoming events. Our newsletter is designed to keep you informed about the things that interest you. We will never reveal or sell our email list to anyone else and you can unsubscribe at any time. Thank you for being a part of our Vision.